Blingles Glimmer Studio Just $7.42, down from $24.99! You are here: Home / Great Deals / Amazon Deals / Blingles Glimmer Studio Just $7.42, down from $24.99! If you have a young girl, this looks pretty awesome! With the Blingles Glimmer Studio, your child will be able to design their own stickers and, right now, it is just $7.42, down from $24.99 on Amazon. With Blingles Glimmer Studio, girls can create and design their own glittering stickers that adhere to any smooth surface. 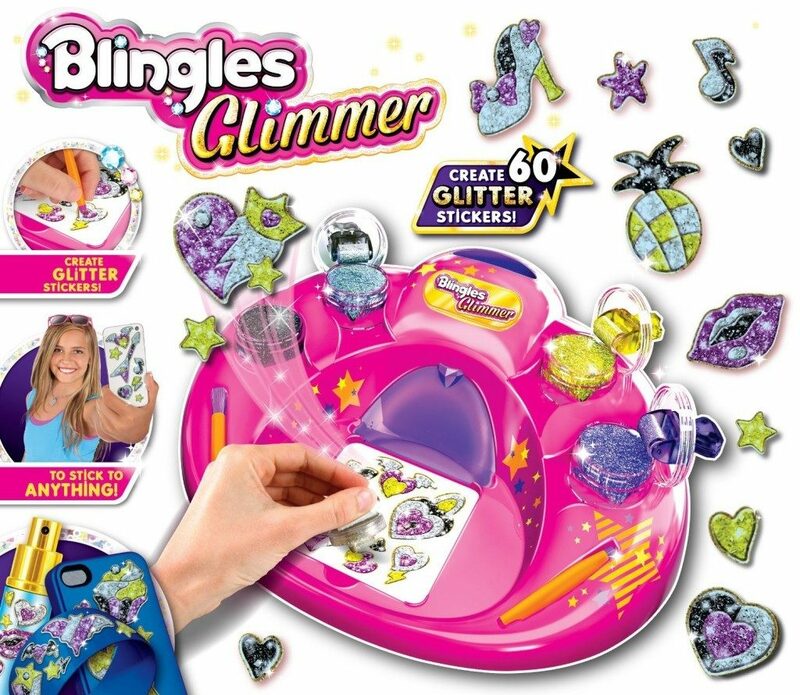 Complete with four different glitter colors, gems, a glitter roller glimmer pen and brush, each Blingles Glimmer Studio includes materials to create up to eight iridescent stickers and stores girls’ designs and supplies in a fashionable tray.